Sephora Haul Time: Urban Decay, Make Up Forever & More! Perricone Skincare kit (Perriconemd.com) I picked this one up over at the end of summer because they had such a great deal. $49 for the 3 piece set that includes the nutritive cleanser, Advanced firming face activator, and the face finishing moisturizer. Like I will mention in the video below, i like this trio because I notice a visible difference in my pores, expressions lines on my forehead and smoother looking skin. Makeup Forever Blushes #42, #18, #70. The empty makeup palette was free with a purchase of 3 shadows or blushes. Use code "MUFE"
Now, was that all I hauled no way! I also hauled some items from the drugstore and Avon too so stay tuned for that video next week. I wanted to include those items in this video, but it would ave been wayyy tooo long. In the meantime, what have you hauled recently? Or what are you favorites items you loved for the month of August? Hey beauties! If you have seen my most recent hair video on my Halley's Curls Gentle Wave Relaxed Hair you noticed me talking about my newest hair routine. Well in today I will be sharing with you all the specifics I use on my Halley's Curls and My hair too! As you all know that I started wearing Halley's Curls back in August 2010 and with the use of this beautiful hair I was using the Dove Intensive therapy hair routine with it. I love the Dove line, but I was eager to try something new. I blame the fashion and beauty magazine for this. 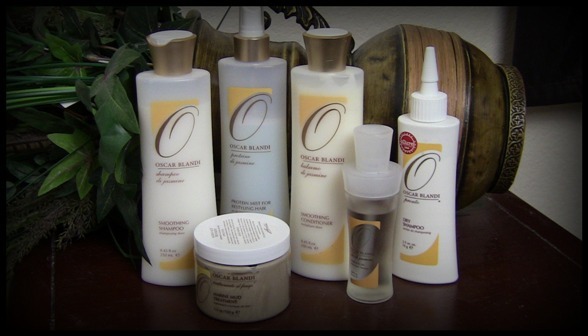 While at Sephora I came across Oscar Blandi Jasmine collection and what I read I found out that the hair collection is great for creating shine and frizz free hair without all of the harsh sulfates. So I got some samples and tried it on my hair and the Halleys Curls, and let me tell you. . I loved the way my hair and the Halley's Curls felt after using the products. So I went back to purchase the entire hair care line for me to use. Oscar Blandi Shampoo di Jasmine Smoothing Shampoo 8.45 oz, $20 is essential for cleansing and smoothing all hair types that tend to be frizzy or unruly. Infused with natural extracts of jasmine and vitamin E, this smoothing shampoo creates a luxurious moisturizing lather that prepares and tames hair for maximum pre-styled frizz control. Oscar Blandi Balsamo di Jasmine Smoothing Conditioner 8.45 oz, $20 is essential for conditioning and smoothing all hair types that tend to be frizzy or unruly. Infused with natural extracts of Jasmine and vitamin E, this smoothing conditioner controls hair and instantly seals the cuticle for maximum pre-styled frizz control. Oscar Blandi Pronto Dry Shampoo 2.5 oz, $19 is the ultimate time saver. It refreshes, revives, and rejuvenates the hair in a matter of minutes—no water or blow dryer required. Voted Best Dry Shampoo and Best Quick Fix by Allure magazine, it effectively soaks up oil, removes product build-up, and boosts volume. Hair looks, feels, and smells freshly shampooed with a clean, lemon verbena scent. Go ahead, hit snooze! Oscar Blandi Proteine di Jasmine Protein Mist for Restyling Hair 8.45 oz, $18 Created for restyle, Proteine di Jasmine is a protein mist for refreshing your look the next day. Infused with soy and wheat proteins, this styling aid seals the cuticle. This allows hair to withstand the heat and abuse we subject our hair when using a flat/curling iron or blow dryer so that we can achieve the same look from the initial style. Oscar Blandi Trattamento al Fango 5.3 oz, $26 brings an element of earth's healing power to your haircare regimen. Fango was originally used to soothe and heal sore joints and muscles, and has now been formulated to provide the same healing benefits to hair. This treatment is a unique and intense curative formula based on marine mud that rapidly improves the condition of the hair. I have been using this collection of hair care products for over a month and I feel that these products are taking care of my natural hair and extending the life of my Halley's Curls too! The hair products to me smells fresh and clean. The other great benefit is that it adds a nice healthy shine and soft texture to my hair and the Halley's Curls too! If you are interested in trying these products out click on teh links above to purchase otherwise I recommend going to your local sephora and asking for a few samples to try.